SILAG Han­del AG has been mar­ke­ting this timeless desi­gner brand in the men’s under­we­ar and hosie­ry sec­tors for some time now. Over the cour­se of 2016 the men’s under­we­ar port­fo­lio has been exten­ded. While pre­vious­ly it was busi­ness socks, clas­si­cal retro, naugh­ty under­pants or com­for­ta­ble under­vests, at SILAG Han­del AG men now have a com­ple­te ward­ro­be and at an attrac­tive pri­ce. The­re is the men’s shirt in an easy‐to‐clean cot­ton mix for loo­king imma­cu­la­te in the busi­ness world and also for wea­ring as a casu­al shirt with eit­her long or short slee­ves. For the spor­ty type the­re is the pique polo shirt made from pure cot­ton. 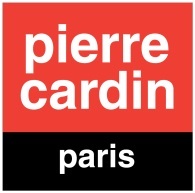 Jeans from pierre car­din, avail­ab­le in three dif­fe­rent colours and was­hes can be worn with it. If the tem­pe­ra­tu­re should drop, the out­fit is com­ple­men­ted by pull­overs and car­di­gans, and for going out shop­ping, a quil­ted jacket com­ple­tes the image. SILAG Han­del AG also offers appro­pria­te night­we­ar, whe­ther ela­bo­ra­te print pyja­mas for men or short pyja­mas for war­mer nights.